It’s coleslaw with a twist! 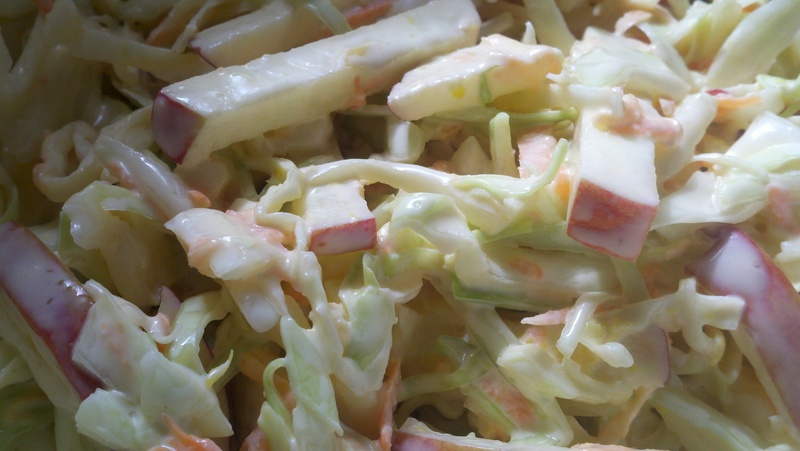 Apples and lemon make this coleslaw sweet and fresh. I made it for dinner last night and served it up next to a piece of fried fish. If I had purple cabbage on hand I would have definitely thrown that in too… I feel like it’s lacking in color without!! Shred cabbage and carrots. Cut apples into matchstick-like pieces. Combine in a mixing bowl with remaining ingredients. Cover and refrigerate until cold.